One word- MAGNIFICENT! 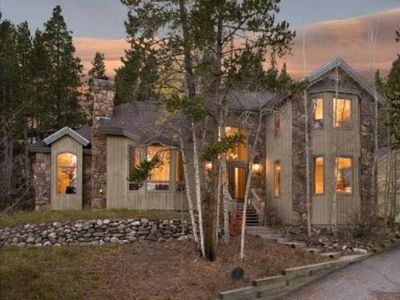 “El Sueno Loco,” which means The Crazy Dream, became a dream come true for the owners of this fantastic home and now they want to share their dream with you! 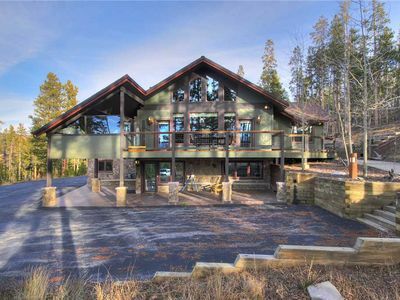 Capture a true mountain getaway with this incredible vacation home that sits on over 3 acres of wooded wonderland, perfect for hiking or snow shoeing right out the back door. It's not uncommon to see deer or moose visiting in the early mornings while sipping coffee at the large dinning room table. 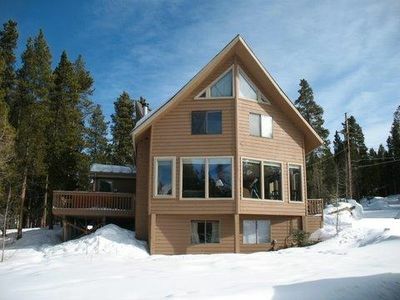 This lovely home boasts 4 bedrooms and 4 bathrooms. The master bedroom suite has an adjustable king bed for maximum comfort and a flat screen tv. 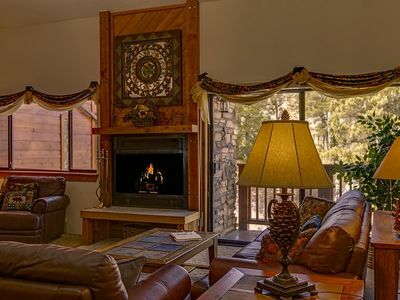 Enjoy your own gas fireplace and fantastic views right from bed. The ensuite bathroom has a separate shower and sunken tub. 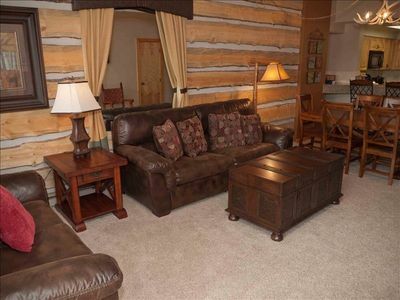 There is a very spacious 2nd master suite on the lower level also with king bed and flat screen tv. The luxurious additional king and queen bedrooms are also on the lower level with a shared full bath and each with their own flat screen tvs. 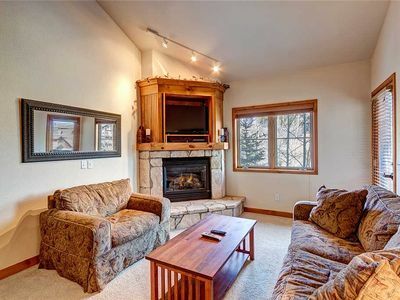 Make lasting memories in this very spacious home with two living areas each with a cozy wood burning fireplace and plenty of room for all the family. Are you a cook? El Sueno Loco is fully equipped with a gourmet kitchen, including a gas stove and everything you'll need to prepare home cooked meals. 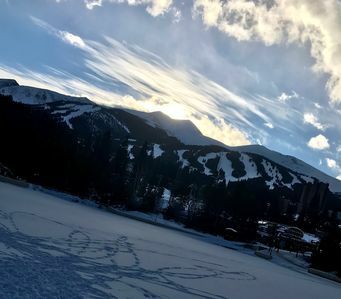 The views are truly what crazy dreams are made of! 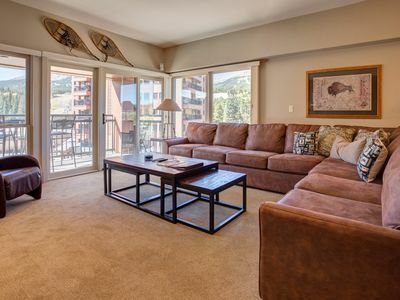 From the outdoor hot tub you can watch the sun set over the Peaks of the Rocky Mountains or watch the big game on the outdoor flat screen tv while soaking those muscles that are weary from skiing, snowboarding, hiking or rock climbing. Or maybe you want to star gaze? 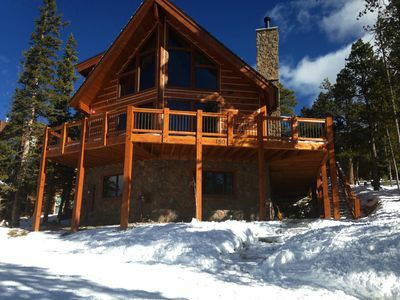 This property is secluded, you can sit by the outdoor gas fire pit and star gaze – often even seeing the Milky Way or have a front row seat to meteor showers! 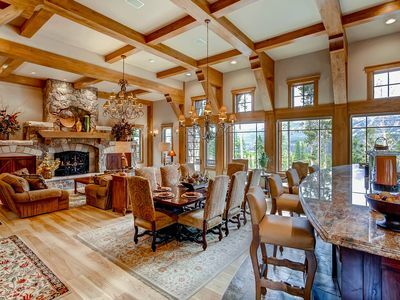 Make your own crazy dreams come true as you relax in the beauty of this immaculate, cozy, welcoming home! This is a 2 story home with an approximate square footage of 4000. 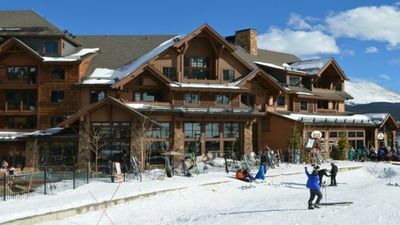 The owner does keep a vehicle in one side of the double garage year round but there is still plenty of parking available onsite. Four wheel drive vehicle recommended in the winter months. 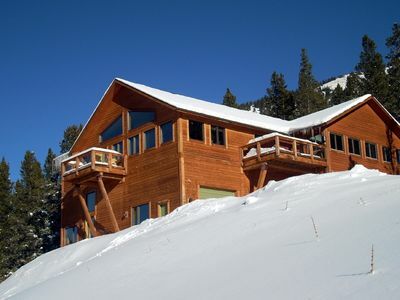 Ski-in/ski-out 2 bdrm + loft, Hot tub access, sleeps 9, Heated garage parking! SPRING BREAK SALE! 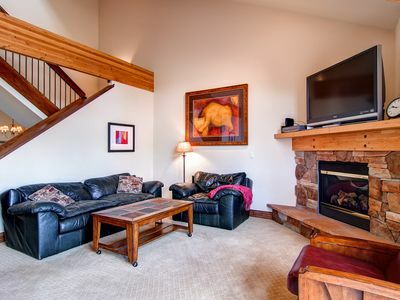 Rustic Elegance Condo - Perfect Location, Best 1BR in Breck!